Belarusian professional choral art is highly developed. There are seven large choral groups in the country which are financed by the state. All of them frequently perform abroad, each time praised and getting new offers for concert touring and creative cooperation, winning prizes at prestigious foreign festivals and competitions. Each of these choirs has its own character, its original sound and its own favorite pieces of repertoire. In fact, such specialization is not a matter of principle for the choral groups – rather, it has been brought about by the concert and theatrical institutions to which they are affiliated. At the same time, each choir strives to widen its genre and, as much as possible, its stylistic palette. Therefore there is a tendency which can be considered common for all of them: universality of performance and the ability to interpret professionally works of different genres and styles. The classics of the 19th century are still the most popular pieces in their programmes. The chorus of the National Academic Bolshoi Theatre of Opera and Ballet of the Republic of Belarus (www.belarusopera.by) specializes, naturally, in theatrical repertoire, which embraces about 30 works with well-developed choral parts. They include such recognized choral operas as “Prince Igor” by A. Borodin, “Boris Godunov” and “Khovanschina” by M. Musorgsky, “Nabucco” and “Aida” by G. Verdi and a ballet staging of the stage cantata “Carmina Burana” by C. Orff. Starting from 1993, the choir was led by Nina Lomanovich. Its membership has been renewed significantly by graduates from the Belarusian State Academy of Music, many of which already underwent practical training in the theater during their studies. Concert performances by the choir also are a success – both a capella and with orchestra. A good choice of repertoire, including complex choral pieces, concert performances of operas which are not in the theater’s repertoire – all these factors contribute to the constant improvement of an already highly professional choir. The large size of the group (it consists of 70 singers) doesn’t prevent the choir from enjoying a well-blended sound and perfect rhythmic ensemble, and it contributes to colorful timbre. It also enables it to perform in a large diversity of size of combinations of choral and ensemble groups, as required by various opera scores. During its 70-year history the State Academic Choir (Capella) of the Republic of Belarus named after G. Schirma (www.philharmonic.by) has changed its creative path several times. 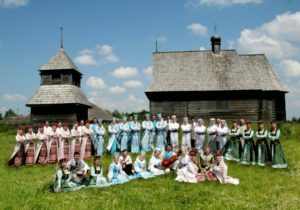 It was founded in 1939 as an amateur choir which sang Belarusian folk songs collected and arranged by folklorist and chorus master Grigory Schirma. Having obtained the status of a state choir, the group enlarged its repertoire. Alongside its purely vocal activities, it started to use a choreographic ensemble and instrumental accompaniment. Today the choir still consists exclusively of choral singers, but it successfully performs with the best orchestras of the world. 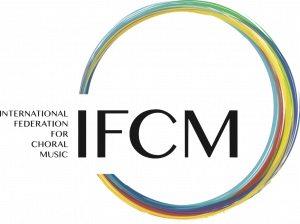 The repertoire of the group includes not only secular choral classics, but also religious works of different epoques and modern works by Belarusian composers. In the last decade the singers have mastered the opera genre, participating in opera performances in other countries; such performances have included “Aida”, “La Traviata” and “Nabucco” by G. Verdi, “Tosca” and “Sister Angelica” by G. Puccini, “The Sleepwalker” by V. Bellini, “Fidelio” by L. van Beethoven and “The Mastersingers of Nuremberg” and the “Ring Cycle” by R. Wagner. Since 1987, the choir has been directed by a representative of the St. Petersburg choral school, Liudmila Efimova. The group’s manner of performing is characterized by using “large strokes of the paint brush” and vivid contrasts in order to underline the structure of the pieces they perform. The Academic Choir of the Belarusian National State Television and Radio Company (www.tvr.by/rus/musiccol.asp?pr=choir) was created in 1931 and during the pre-war era it worked exclusively on air. From the 1960s to the 1980s its primary task was to continuously add to the audio archives with recordings of Belarusian academic music and arrangements of folksongs. However, in the 1990s this group also started touring. For more than 40 years the choir was led by the famous Victor Rovdo; since 2008, after his death, it has been headed by Olga Yanum, a graduate of the Belarusian State Academy of Music specializing in choral conducting and singing. Nowadays the choir is involved in a new creative search, turning to the most recent Belarusian scores. Nevertheless, taking into consideration the kaleidoscopic nature of the repertoire of the choir, the group’s performances of religious music of different denominations remain their uneclipsed achievement. 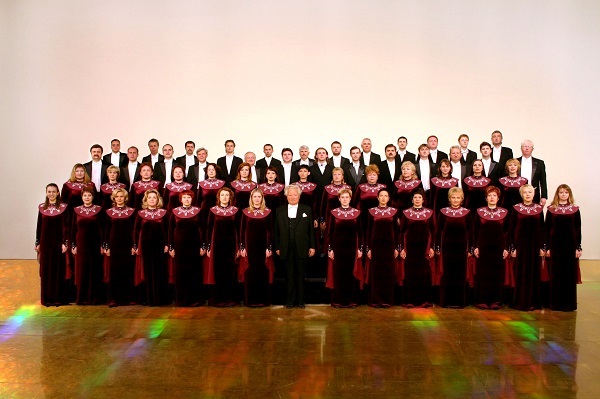 Belarusian folk songs are within the repertoire of most choral groups in the country, but the National Academic Folk Choir named after G. Tsitovich (http://belhor.org/), founded in 1952, really specializes in this sphere. This group was created by the famous folklorist and chorus master G. Tsitovich (the 100th anniversary of his birth was celebrated recently). As far back as in the pre-war period he headed an amateur village chorus which sang in a folk manner – using the so-called “open” sound, a kind of singing in which vowels are sung as they sound in speech, in contrast to the rounded, reduced sound of academically trained voices. This group, for the most part, became the creative laboratory for the further development of the country’s choral folk singing which, as time went by, began to progress not only spontaneously, but also in an organized and professional manner. G. Tsitovich also prepared his successor: Mikhail Drinevsky became the chorus-master straight after graduating from the Belarusian State Conservatory. Nowadays, many members of the choir are graduates of the Belarusian State University of Culture and Arts, where students study folk singing. Apart from the choir, the group includes a choreographic company as well as an orchestral company in which folk instruments are present. This makes possible not only the performance of separate pieces, but also of complete theatrical compositions. Recently the choral group’s repertoire has been enriched by academic a cappella works and arrangements of original songs. 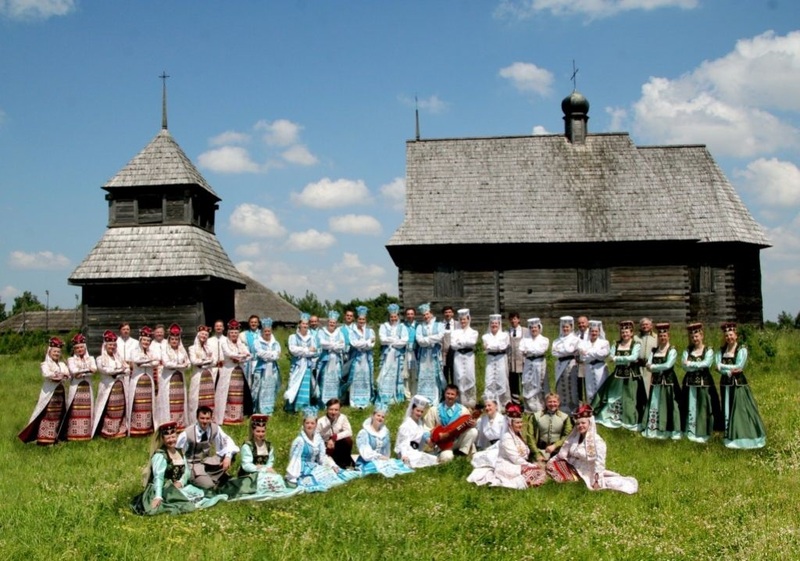 But the top achievement of the group is the reconstruction of the ritual of the Belarusian wedding which was made on the basis of true folksongs in collaboration with folk music specialist Zinaida Mozheiko and composer Vyacheslav Kuznetsov. Folk choirs are among the most popular Belarusian groups abroad. Annually this group makes more than 70 guest performances, touring over Europe, as well as Turkey, Canada, China and other countries. The Belarusian State Chamber Choir (www.philharmonic.by) was founded in 1988 as the result of a so-called “creative competition” between two amateur groups, but its rival didn’t lose out either: today it’s another philharmonic group – the vocal ensemble “Camerata”. Whereas the priorities of the organizer and first director of the Chamber Choir, Igor Matiukhov, lay primarily with very early music on the one hand and and very recent works on the other, Natalia Mikhailova, who became the head of the group in 2000, strives to further widen its stylistic and genre palette. Brilliantly performing religious works, the choir even sings jazz pieces, with other repertoire ranging from staged concert performances, including some involving other groups and invited soloists, right to opera scenes by Belarusian composers. 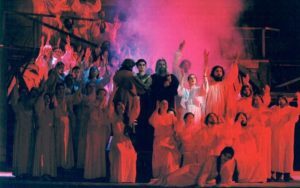 The Musical Capella “Sonorus” (http://sonorus.by) started in 1992, when in Molodechno, a town not far from Minsk, a regional chamber choir of the same name appeared, consisting of graduates and teachers of the Molodechno musical college as well as of leaders of independent choirs. The initiative of the organizer and director Alexey Schut allowed the new group to make a rapid and successful career. “Sonorus”, which appeared at the dawn of Belarusian statehood (Belarus, previously part of the USSR, became independent in 1991), aspires to renew the best traditions of musical capellas, which were wide-spread in the 18th century, when the Belarusian lands were part of the Polish-Lithuanian Commonwealth. Today the capella includes a choir, soloists and an orchestra, which allows it to include large-scale vocal and symphonic pieces in its repertoire. The group often goes on tour all over Belarus, performing its educational functions. Works of Belarusian composers of different periods are a significant part of its repertoire. Lately the choir has also frequently taken part in events where music alternates with literary contribtuions, and even in musical performances based on works of musical and poetic classics, fairytale operas and ballets. Last but not least, two years ago the group came to stage the chamber opera “The Little Prince”, which was written at its request by the Belarusian composer Andrey Mdivani. The Chorus of the State Academic Musical Theater (www.musicaltheatre.by) doesn’t usually perform outside the State Academy, except in gala concerts. Nevertheless its work in performances and particularly in musicals arouses admiration. The members of the choir, mainly young graduates of the Belarusian State Academy of Music, learned to move so delightfully that their agility sometimes reaches the standard of professional dancers. The management of the theater, which has recently changed, has not refused to continue staging musical comedies, classical operettas and musicals, but also begun to lay emphasis on the singers’ concert activity, including in the academic sphere. This tendency also applies to the theatre chorus lead by Svetlana Petrova. One of the paradoxes of Belarusian culture is its sharp discrepancy between supply and demand. The level of professional choral singing is very high, but the interest of the public for it has dropped dramatically. During Soviet times choral lessons were a compulsory part of general secondary education, and amateur choral groups were regularly financed. The educational reform led to a reduction not only of singing lessons, but also of all subjects in the humanities. Apart from that, new financial circumstances led to the dissolution of numerous amateur groups, although many professional groups were able to survive. Today amateur choral singing, having gone through a range of difficulties, is beginning to recover. Orthodox and Catholic choruses appear, competitions are held – more often of religious music. But the opportunities for displaying the best amateur groups, especially abroad, are still limited.